One of the first Reformed authors I ever read was Sinclair Ferguson. I was a dispensationalist in transition at the time, and I ran across a little book titled The Christian Life: A Doctrinal Introduction by Dr. Ferguson. I started reading it in the bookstore, and I finished it in my apartment the same evening. This wonderful little book was instrumental in my transition from dispensationalism to the Reformed tradition. Since that time, I have continued to read everything I can from the pen of Dr. Ferguson. Like the great theologians of old, he writes with the heart and experience of a pastor. No dry and dusty tomes from the ivory tower here. For these reasons, I was excited to hear of the release of his new book In Christ Alone (Reformation Trust, 2007). As with Ferguson’s previous books, readers will not be disappointed in this one. I would say that this book needs to be on the shelf of every Christian, but that cliché is sometimes taken a bit too literally. Far too many Christians buy great books, put them on their shelves, and then leave them there. This book does not need to be on the shelf of every Christian. It is a book that needs to be read by every Christian. The content is too important to remain on a shelf gathering dust. This is a book about living the life of faith in Christ. Its chapters were written over a period of years as articles for Tabletalk and Eternity magazines. They have been gathered together in this volume and arranged thematically. Their origin as magazine articles means that each of the fifty chapters is brief, accessible, and to the point. Each chapter can be read in only a few minutes time. Are there any drawbacks to such a format? One might think that having been written over a period of years that the chapters would lack a certain flow and unity. One would be mistaken. The chapters have been organized under six major headings. The first section of the book contains several chapters dealing with the person of Christ. Here Ferguson outlines the basic biblical teaching concerning our Savior, who is truly God and truly man. The primary focus of these chapters is on the mystery and miracle of the incarnation. The second major section of the book contains chapters dealing with the work of Christ. Here Ferguson discusses the atonement, the resurrection, and Jesus’ work as our prophet, priest, and king. The third section of the book, then, contains chapters on the Holy Spirit, the one sent by Christ as another comforter. The focus of these chapters is upon the Spirit’s transforming work in the lives of believers. 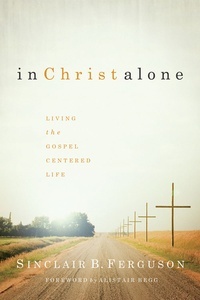 In the fourth major section of the book, Ferguson begins to turn to the Christian life. This section, entitled “The Privileges of Grace,” covers subjects such as our union with Christ, regeneration, and assurance of salvation. Section five, “A Life of Wisdom,” deals with subjects such as discernment, the law of God, and Christian contentment. In the final section, Ferguson explores the biblical teaching on subjects such as spiritual warfare, temptation, apostasy, and the perseverance of the saints. The conclusion of the book contains Dr. Ferguson’s heartfelt dedication to his longtime friend and former colleague Al Groves, who recently went to be with Christ. One of the many things that is so refreshing about this book is its thoroughly Christ-centered message. From beginning to end, Christ is exalted. With so many authors writing about Jesus in a detached and abstract manner, it is a blessing to read a book in which the author’s love for Christ shines through on every page. This is theology for the heart and the mind. The author’s love for Christ, however, does not result in a sentimental or watered-down theology. Ferguson is not hesitant to touch upon the deep truths of Scripture, marveling at the Lord’s amazing work of redemption for His people. Sections four through six of the book are deeply practical and reflect the wisdom of one who has shepherded Christ’s sheep for many years. There are numerous chapters here that will repay careful meditation and application. None of us have “arrived” yet. We all battle the world, the flesh, and the Devil every day, and we are foolish if we ignore the wisdom of our elders. Jesus Christ is faithful. He knows those who are His sheep. Let us all take heed to hear the message of this book, to trust and obey our Lord, to live a Christ-centered, Gospel-centered life, that we might not be ashamed at His coming. Let us fight the good fight and run the race to the finish, knowing that our only hope in life and in death is in Christ alone.